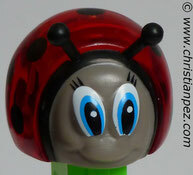 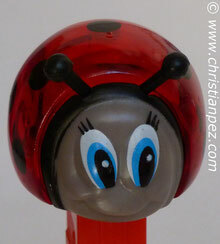 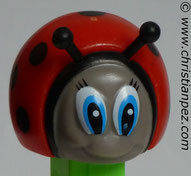 The PEZ® Web Site calls them Barney Beetle, Jumpin'Jack the Grasshopper, Florence Flutterfly, Sam Snuffle the Fly, Super Bee, Ladybird the Ladybug, the Clumsy Worm et Good-Natures Centipede. 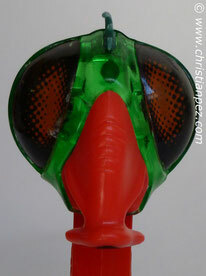 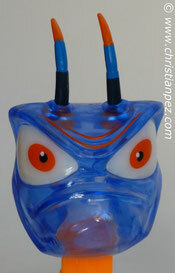 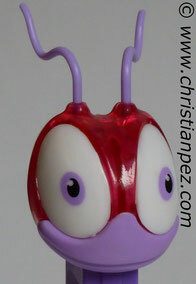 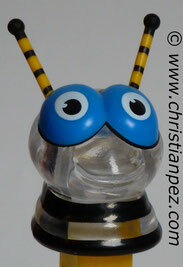 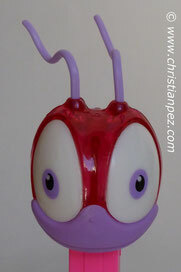 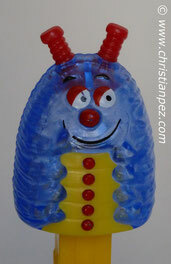 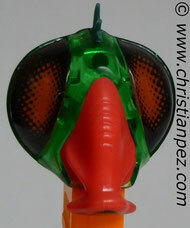 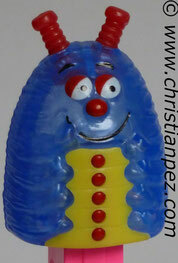 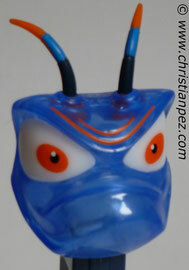 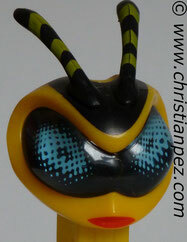 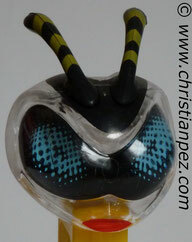 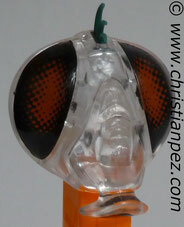 The crystal Bugz are special ones found only through mail order or Wal-Mart Kids'connection candy stores. 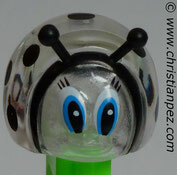 This colored clear Crystal Bugz set includes the Baby Bee, Florence Flutterfly, the Grasshopper, the Fly, the Worm, the Beetle, the Caterpillar, the Lady Bug and the Big Bee. 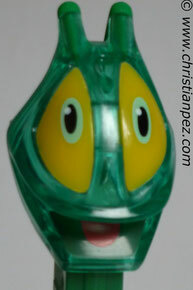 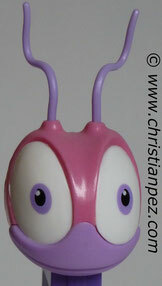 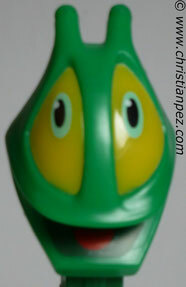 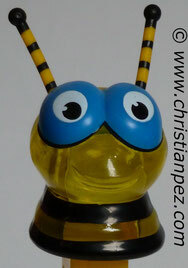 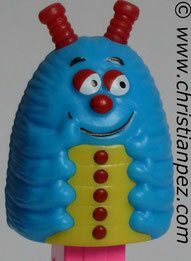 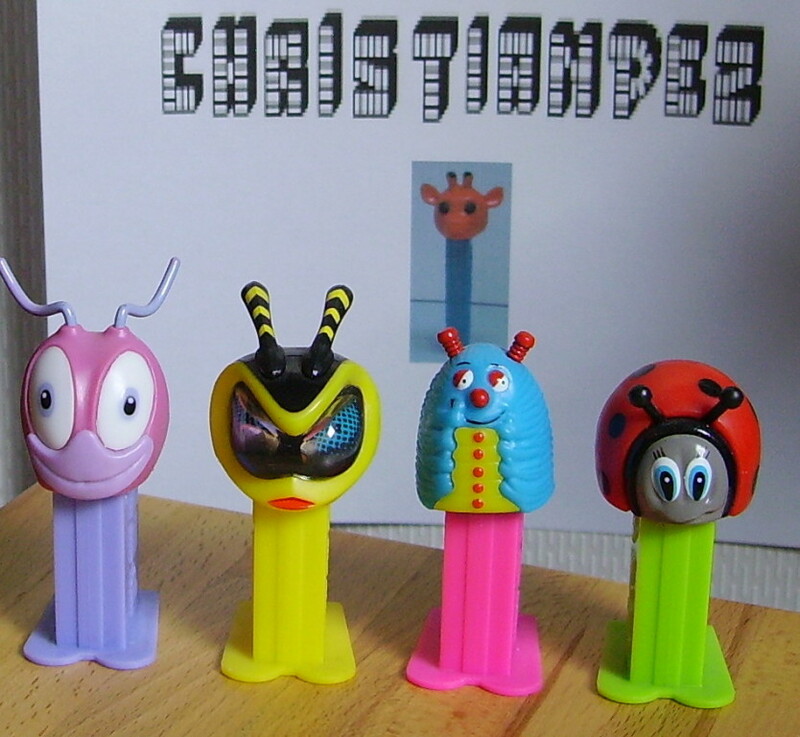 The crystal bugz pez were originally sold only in special Kids Connection stores which went out of business shortly after opening. 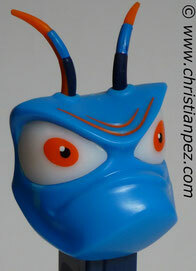 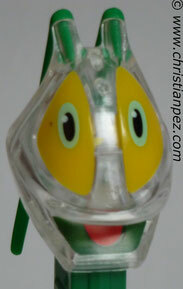 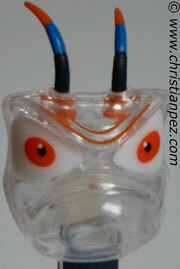 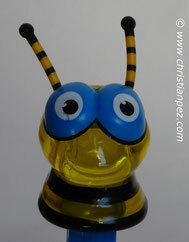 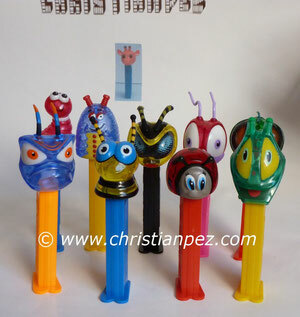 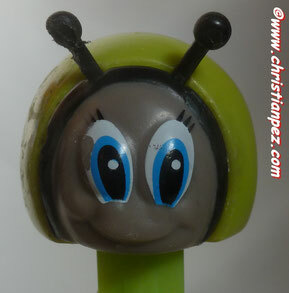 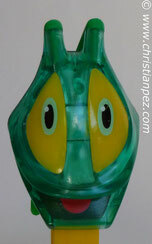 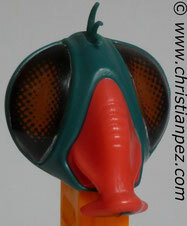 There are variations in stem colors for some of the Kids Connection crystal Bugz pez and those which were later sold primarily through mail order from the Pez company. 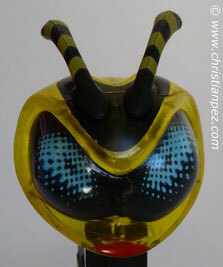 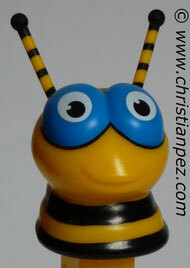 Bee Variation, the one on the left was produced first but the antennas were too long, so Pez reduced the antennas.